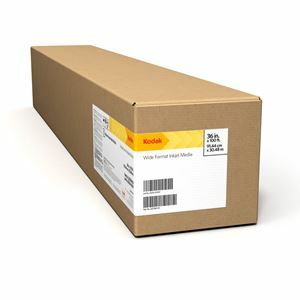 KODAK Rapid-Dry Self-Adhesive Glossy Poly Poster is a 6-mil film designed for aqueous-based printers using both dye and pigmented inks. It is one of the few glossy PSA (pressure-sensitive adhesive) films ideal for long-term, high-impact indoor signage that can also be used for short-term outdoor signage. It has a specially-designed adhesive that makes it easy to install and is cleanly removable for up to 90 days. After 90 days the adhesive will become permanent.